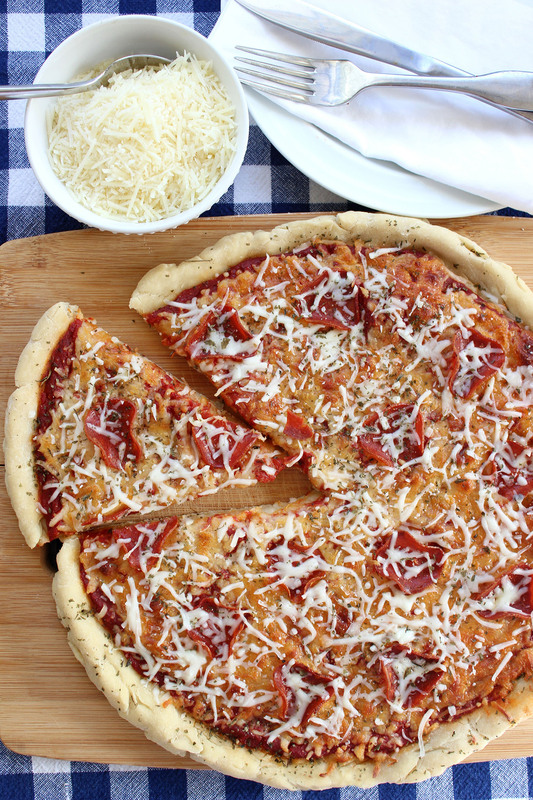 This gluten free recipe featuring Quick-Rise yeast will have you enjoying warm, homemade pizza in no time. The traditional mild-flavored crust and delicious aroma will please everyone in the family. Combine flour, xanthan gum (if using), and salt into medium bowl. Whisk to combine very well. In bowl of a stand mixer, add 1 cup of flour mixture and yeast. Mix well. Combine 1 cup water and oil; heat to 120-130ºF; add to flour mixture in mixer bowl. Blend at low speed until moistened; beat 2 minutes at medium speed. Add remaining flour mixture. Start mixing on low speed, slowly add remaining water, 1 tablespoon at a time, until dough comes together. Mix at medium speed for 2 minutes, or until a soft dough forms and dough leaves the sides of the bowl. Preheat oven to 400ºF. Lightly flour fingers and work surface with gluten free flour. Turn dough out onto work surface and flatten and shape as desired. (If making 2 pizzas, divide dough in half first, then proceed with shaping crusts.) You can use a floured rolling pin to get the round shape started, if you like. This dough works best patted or rolled out as a fairly thin crust pizza. Transfer dough to greased pizza pan(s) or baking sheet(s). Spread prepared sauce on pizza(s). Add toppings and shredded cheese as desired. Do not allow dough to rise. Optional: Brush outer edges of dough with melted butter and sprinkle lightly with dried parsley or Italian herbs. Bake at 400°F until edges are crisp and light golden brown, and cheese is melted: about 20 minutes for 8-inch pizzas, about 35 minutes for a large 15 to 16-inch pizza. Remove from oven and serve immediately. Store leftovers covered tightly in the refrigerator. Pizza reheats best in the oven or in a skillet.